A Tree Service is not only a Complete Tree Care Company in Minnesota, we also responsively recycle any healthy wood we cut down for our customers. And when using wood to heat your home, cook your food or just for recreation, it is important to store your wood properly, so you end up with as good of wood as you started out with. Below is our guide to Storing Firewood for the Winter. As the days get colder and damper, it is important to deal with any wood you plan on burning this winter, otherwise it may not light. Get it out of the Elements! Before you start stacking and putting your source of warmth away, make your days to come easier by splitting it. Chances are, when you go to reach for a couple logs of wood, you will already be chilly and wanting to warm up. Do yourself a favor and split the amount of wood you need into the exact size you need for your application – before you get it stored for this season. You will be thanking yourself. No one wants to be throwing around an axe when they’re stiff from the cold and all bundled up. Splitting the wood now will also allow it to dry out more quickly, so you can burn it sooner. Wet wood is not able to burn. Or at least, it takes nothing short of a miracle. So, after you have split the amount of wood you have calculated for a season, it is time to dry. Drying can take place outside, if the weather will cooperate. Find a sunny, breezy place where the split wood can’t get wet and let it dry. You can also store it in a garage, unfinished basement or another unused area, place a fan and dehumidifier by it and let the drying process begin. Depending on the species of wood and the freshness, it can take a year or two to fully dry and burn as desired. Think of it like a fine wine, it only gets better with time. It is always wise to ensure wood is not on the ground because the side touching the ground surface will not be able to properly dry. That leads to rot. Not only is wood rot not easily burnable, it starts to stink. You can get creative on how you get the wood off the ground. Find a dry pallet, those are free, and place the drying wood on it. Anything will work, if it is up and able to dry. Now that your wood is as dry as you like, you can start to stack it. 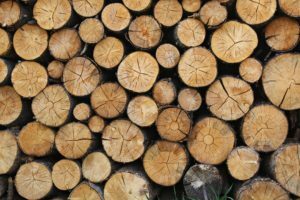 It is best to put the larger, heavier pieces of wood at the bottom and the lighter pieces at the top, be sure to leaving some breathing room while stacking. This will prevent shifting and toppling of your pile. Another consideration is where to stack it. It is popular to have wood stacked under garage eaves, a covered porch, or on the side of a home. All are acceptable location if it is dry and accessible to you. So, you have done all the steps and are probably ready for a break. Which you deserve! Please remember, all will have been in vein if you do not continue to keep the wood dry. This may mean tarping wood that is outside and susceptible to wetness if it rains. Or placing a dehumidifier in your garage so dampness doesn’t soak into the wood. The good news is now, all you have left is to enjoy the cozy, efficient burning fire wood you have worked so diligently on. 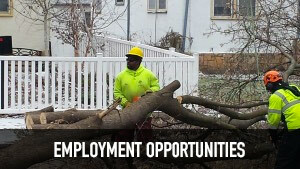 If you want to skip the 3 hardest steps in this process, purchase Minneapolis firewood from A Tree Service. We split, dry and stack our wood for purchase so all you must do is find a place for it in your home and keep it dry. We wish you warmth this winter and the joy that family brings! Call us today for firewood or get busy splitting. This entry was posted in Firewood and tagged How to Store Firewood, Pre-Split Wood for Sale MN, purchase Minneapolis firewood, Storing Firewood, Storing Firewood for the Winter. Bookmark the permalink.